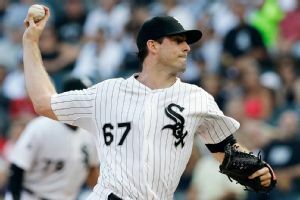 The Chicago White Sox recalled right-hander Scott Carroll from Triple-A Charlotte and designated right-hander Hector Noesi for assignment before Thursday night's game with the Pittsburgh Pirates. The White Sox made a change to their pitching staff by recalling right-hander Scott Carroll and designating fellow righty Hector Noesi for assignment. 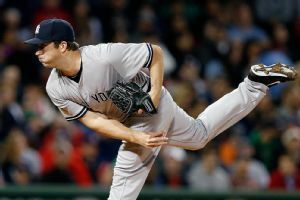 Adam Warren will remain in the New York Yankees' starting rotation when Masahiro Tanaka is activated from the 15-day disabled list Wednesday. The White Sox dropped their second consecutive home series as Jose Quintana was roughed up by the Twins. 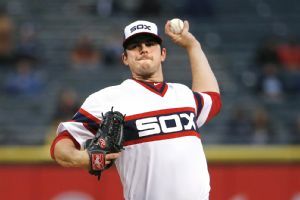 Carlos Rodon will be skipped in his next turn through the White Sox rotation, but manager Robin Ventura said the move is not permanent. 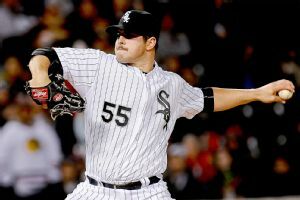 There are roller coasters with less thrills than what Carlos Rodon has provided in his short tenure as a Chicago White Sox starting pitcher. 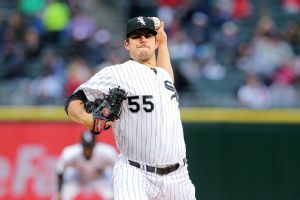 Left-hander Carlos Rodon will be making his second career start Friday at Oakland. Chris Sale went eight strong innings, striking out 11, for his first victory since April 18. Carlos Rodon's career high in innings is the 132 1/3 he threw as a college sophomore in 2013. How many will he have to throw as an MLB rookie? Hector Noesi now in White Sox 'pen, but for how long?